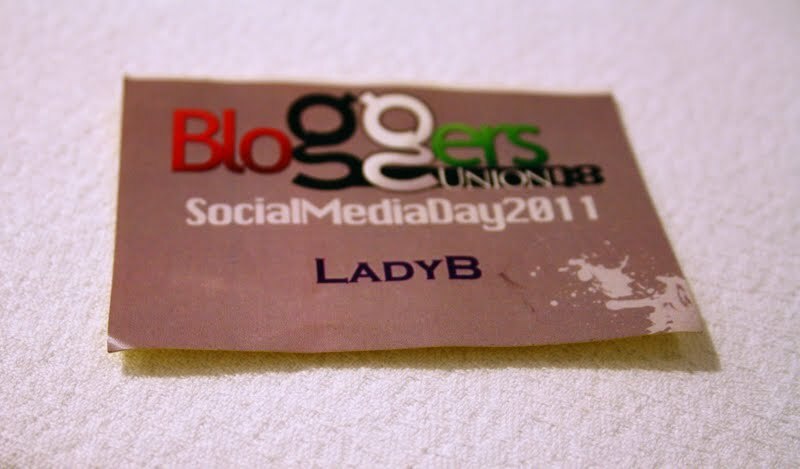 This weekend Omarker, Q8stig and His& Hers invited me to celebrate the Social Media Day on the 30th of June of every year a thoughtful idea of gathering the Kuwaiti blogs for the social media day on Thursday 30th of June 2011 at Corniche Club starting at 2pm. As usual I arrived fashionably late :P , got to meet the lovely bloggerette's & bloggers ofcourse and given brief speeches by Omar Al-Othman, Mohammed Al-Muhaini, Saud Al-Khateib, Abdulrazaq Al-Mutawa & His from His&Hers. I'm not gonna say more since lots of blogs said what all there was to say, nontheless it was a very organized and fun meet up. Thnx everyone who made it happend, thnx to Laduree for the yummy macaroons & Zain for the goody bag ! Awww That really good. You people are lucky .Hope you have had great time over there .Bag is so nice ,by the way . 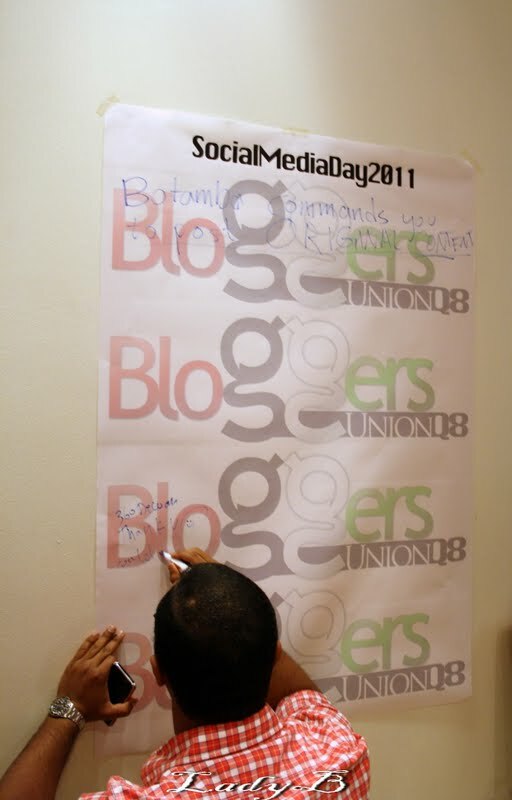 It's nice to know that they celebrate a social media day. That's really cool.